•Get off the train at Ochanomizu Station. •Continue along the street, following the signs up the stairs to the cross street. •Turn left and continue to the second stoplight and turn right, if you want to go in the front entrance. 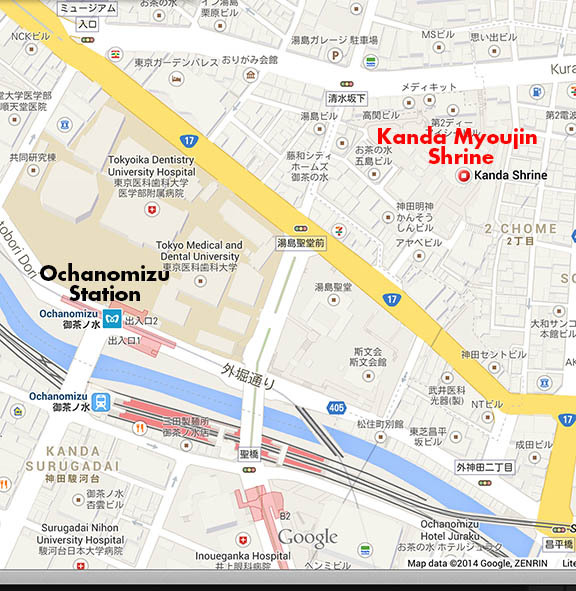 •You can go in a side/back entrance before you turn right at the stoplight if you look for the entrance on your right, in the second block after you pass the big, dark Buddhist temple.